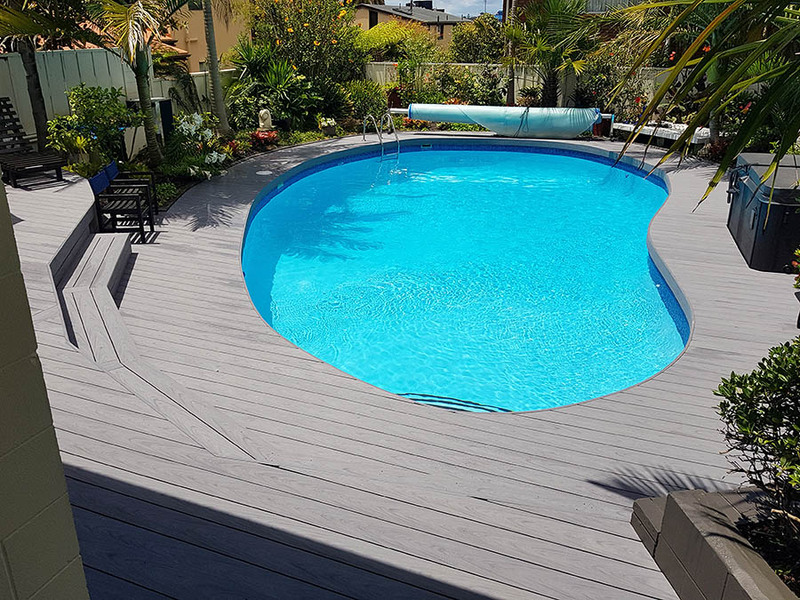 I selected Permadeck Vault decking for our pool deck renovation project and am extremely pleased with the final outcome. This has transformed our old, outdated, tired pool area into a modern, sleek and welcoming design. Sales and service support were everything you could hope for: timely communication, listened to my needs, advice on build, and recommendation of builders with experience with Permadeck decking installation. 25 year structural warranty with minimal annual maintenance required. Hidden fastener system eliminating need for predrilled holes in decking resulting in modern clean look of deck, no splinters, no slipping, and rapid assembly. 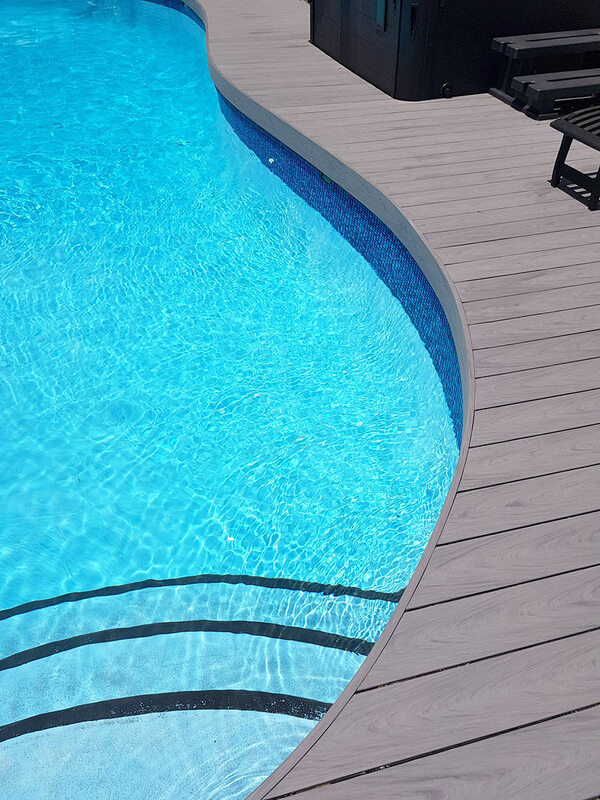 The completed deck boards “feel” very stable and solid under bare feet around the pool. Structural long term integrity consisting of a solid board (no hollow core). The installation builder told me that the boards are extremely dimensionally consistent making it easy to incorporate into complex building designs. Ability of boards to be manually bent during fixing to accommodate curved surfaces (internal curve of kidney shaped pool). The finished decking project always receives compliments by all that join us for parties around our newly renovated pool deck.